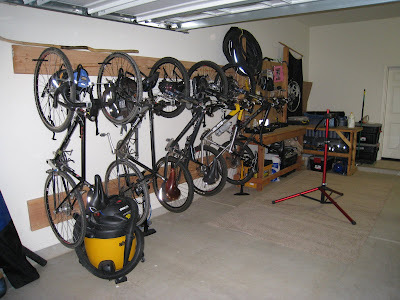 It is great to have a garage again... now we just need to ride. Looks good guys. I wish I still had that kind of space!